Bruce was sworn in as Mayor in January 2019, after serving two years as Ward 4 City Councilor. He also works as Deputy Director of the Columbia River Maritime Museum. Bruce’s 30 year Coast Guard career included command of Sector Columbia River/Air Station Astoria, Sector Lake Michigan, and Air Station New Orleans, where he led the Coast Guard's air rescue operations after Hurricane Katrina. He was assigned to Astoria in 2011 from his position leading the USCG’s Office of Strategic Analysis in Washington, D.C.
Bruce worked as a helicopter pilot for the Columbia River Bar Pilots from 2014-2016. 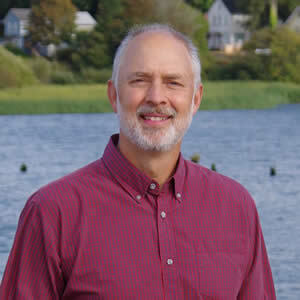 He has served on the boards of Friends of the Astoria Armory, Friends of the Astoria Column, United Way of Clatsop County, and the Columbia River Maritime Museum. He holds a Master's degree in Public Administration from Syracuse University, and a B.A. from Washington and Lee University. Bruce and his wife Linda have three grown sons, four grandchildren, and enjoy maintaining their 130 year old Alderbrook home.